Those who these days surf on the Kingdom on Inanities (Facebook) will be inundated with a tsunami of Happy Easter messages, Easter bunnies, figolli, Easter eggs and all that jazz. Some will try to uplift the mood by posting intelligent sayings and quotes. I prefer to reflect on the true meaning of Easter through the words of Pope Francis. Last Wednesday, Pope Francis spoke about the true meaning of Easter. After emphatically stating the obvious truth that Easter is more important than Christmas he went to heart of the Easter message. These are not airy-fairy words. They have concrete application for our existence in the politico-social field. To explain the concreteness of the Easter message the Pope launches a strong attack against corruption. Such attacks are one of the leitmotivs of the pontificate of Pope Francis. Francis says that the corrupt are fake Christians. During a November 2013 homily, Francis said that the corrupt should be tied to a rock and thrown into the sea. He added that those who earned money through bribes or corrupt practices had "lost their dignity", and fed their children "unclean bread". Many Maltese unfortunately do not get it. They say they love Pope Francis but experience shows that they care not for what he teaches. Worse than that. 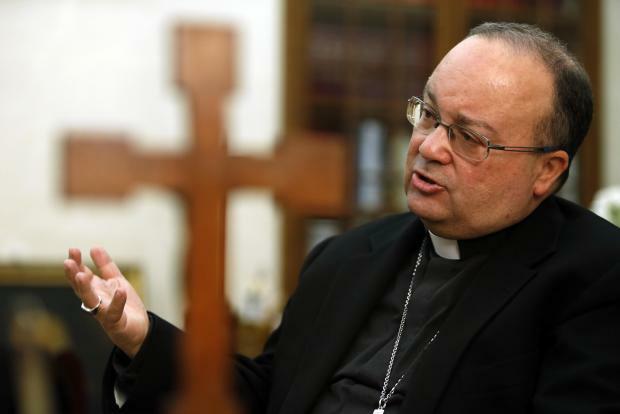 When Archbishop Charles Scicluna, like Pope Francis, condemns corruption even by re-tweeting something someone else wrote as he just did, then the government cries and lets slip his dogs of war, particularly on the social media. Such attacks against the Archbishop are clearly part of a government campaign to try and delegitimise him. The trained masses cry “Crucify him. Crucify him” over and over again. We heard that cry before, didn’t we? On March 18, Pope Francis referred to that cry uttered on the first Palm Sunday. The Prime Minister decided to reserve the mother of all cynical propagandistic moves for Good Friday. On Xarabank he tried to rehabilitate the corrupt sell-a-Maltese-passport-to-whoever scheme by giving a tiny fraction of its ill-gotten gains to help Puttinu Cares. A Google search will give you a long list of similar moves by people who do not deserve to be named on Easter Vigil. Were it Maundy Thursday in the evening it would have been a different story.